Indie Retro News: Space Moguls - C64 game inspired by M.U.L.E is now available! Space Moguls - C64 game inspired by M.U.L.E is now available! 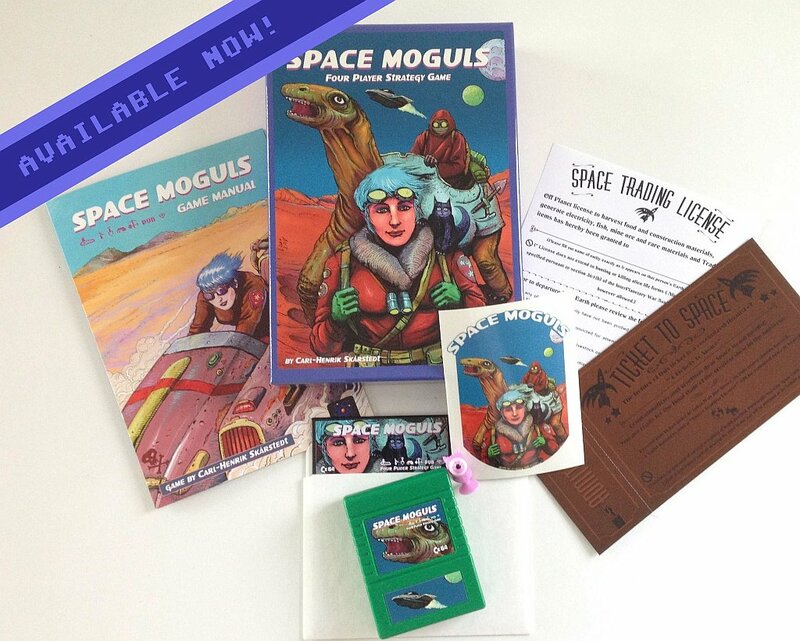 Protovision is kicking it up a notch this week as they have just announced the superb looking M.U.L.E inspired game called ' Space Moguls ', is now available to buy for the C64 as either a disk, cartridge or disk and cartridge based version, each in a beautiful box of goodies! This game coded by C-H Skårstedt‏ with music by Stein Pedersen and Ole-Marius Pettersen, is a top down grid based strategy game that has to 4 player support, graphical landscapes such as woodland areas and lakes, granting land, town with services, and droids that are available to give you that helping hand. According to the description of this tribute to M.U.L.E which was originally created by Ozark Softscape. You play as one of four contestants that have got through to the last round who must travel by spaceship to a new planet, bringing only the minimum amount of supplies to survive as the battle takes place to become the ultimate Space Mogule. Just be aware this will be no small task as you'll need to produce food, energy, materials, and ore as the focus to create wealth... Oh and make sure to use the Droid! Space Moguls runs on any standard C64 in space or onplanet (or C128 in C64 mode). It is compatible to PAL and NTSC computers. It is compatible to C64 mini. It is compatible to 1541 Ultimate or SD2IEC. But it expects only one disk drive to be active. Additional players can either use the keyboard or one of these multiplayer adapters: our own 4 player adapter, Poly.Play's Superpad or Unreal's Inception.